29 Sub-Saharan Africans, died of hypothermia in severe winter conditions, yesterday. The victims were part of a group of 105 immigrants picked up by the Italian Coast Guard off the island of Lampedusa. The deaths mark an ominous and early start to the Mediterranean “human smuggling season”. Despite winter conditions, 3,528 migrants have already crossed the Mediterranean during the month of January, according to figures newly released by Italy’s Ministry of the Interior. Although this number represented a drop from the number of arrivals registered in December (6,732), IOM officials in Rome note that these figures are very unusual for the month of January. Last year, during the same period, migrant arrivals were 2,171, while in 2013 they were just 217. These deaths, along with nearly 200 others in waters off Africa, Turkey, Cuba and the Arabian Peninsula mark one of the deadliest beginnings of any year in recent times, in terms of fatalities of migrants. By comparison, IOM reported just 41 deaths at this point in 2014 – a year when over 5,000 migrants perished worldwide. January and February traditionally are slow months on migrant routes, which grow more active as spring approaches. Last month Libya – where unrest and political instability is rampant – was the main departure point. The main country of origin of the migrants is still Syria (764), followed by Gambia (451), Mali (436), Senegal (428), Somalia (405) and Eritrea (171). The route by sea from Turkey has also apparently been stopped. In January, the few cargo ships that tried to leave to Europe were blocked by the Turkish authorities after their departure. 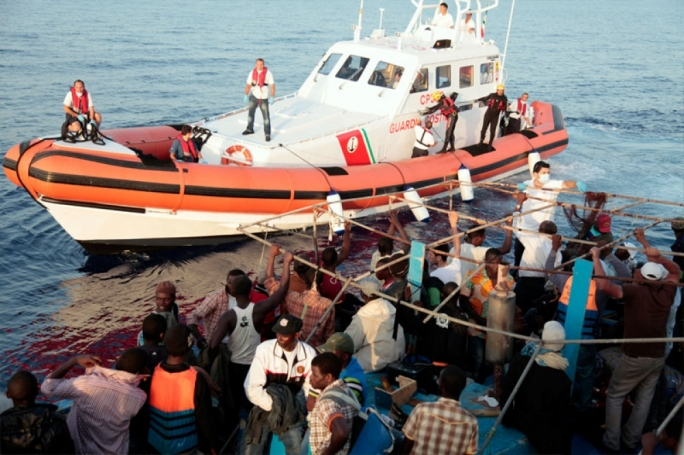 “This last tragedy proves how important Mare Nostrum was as a life-saving operation. The Mediterranean must be patrolled with the necessary means and resources for both security and rescue-at-sea operations, and Europe should react in a more efficient and better resourced way to such a humanitarian emergency," he added.